Now you can really "Make Mine Marvel" with this awesome silicone tray! 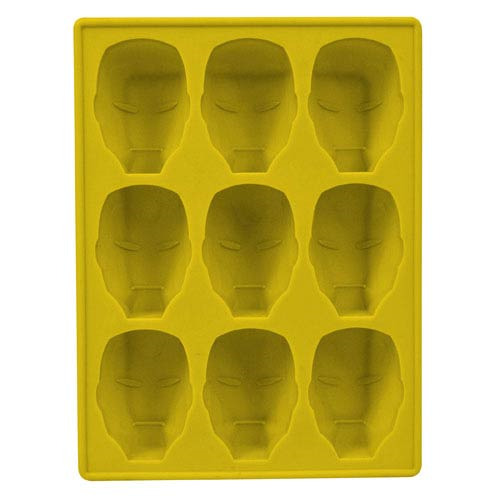 Specifically, you can make ice, chocolate, gelatin and more, all in the shape of Iron Man's iconic helmet. The Iron Man Helmet Marvel Silicone Tray is the perfect addition to any party, membership drive or even a meeting of the Illuminati! Fans of Marvel's Iron Man or Tony Stark will not want to miss out on this. Measures about 6 1/2-inches tall. Ages 8 and up.